English Premier League. Saturday October. Kick-off 3pm. 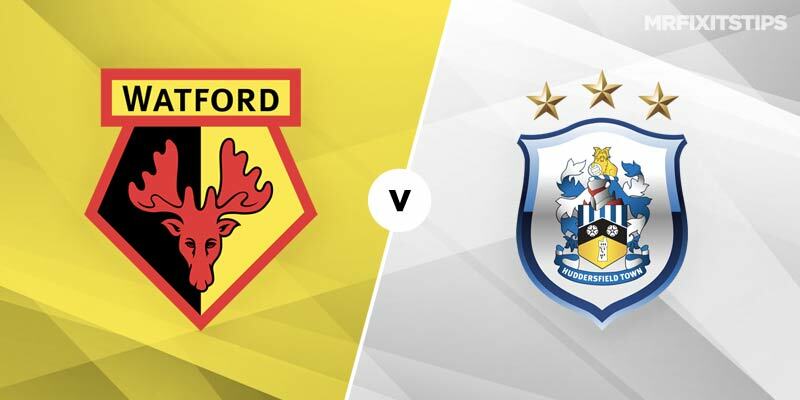 WATFORD got back to winning ways last week away to Wolves and will be confident of continuing their good start to the season when they welcome a winless Huddersfield team to Vicarage Road. After starting the campaign with 4 straight league wins Watford then went on a mini slump, picking up only one point in 4 games, including a 4-0 loss at home to Bournemouth. They got back to winning ways with a good 2-0 win over a Wolves side who have adapted well to life in the big league and will look to build on that against a Huddersfield side who have yet to win in the league this season and sit in 19th position with 3 pts, all draws. Simply I cannot see anything other than a Watford win and when the prices were first released the 4-5 on Watford looked big. It has now been trimmed into 3-4 (bet365, Skybet) which may be a bit lower for a single for some but would definitely be in most accumulators though it may be best to get on early as I can see them being bet in again. Looking for further value in this match takes us to the goals market and Watford to score 2+ looks a good shout at evens (coral). In all competitions Watford have scored 2, 3, 2, 2, 2, 1, 1, 2, 0, 0, 2. They have scored 2+ in 63% of their matches and face a side with a -14 goal difference after 9 matches and conceding an average of 2 goals per game in the league this season. Where Watford may look good for a couple of goals the opposite can be said of Huddersfield who have only scored 4 times in all competitions so far this season with their goals scored record reading 0, 1, 0, 0, 1, 0, 1, 0, 1, 0. Watford to win to nil is best 179-100 at Marathonbet and although Watford have only kept 3 clean sheets this season I would be confident of them making it 4 against a poor Huddersfield side seriously short of firepower. A 2-0 win for Watford pays 7-1 with Betfred and is also worth a pound or two.